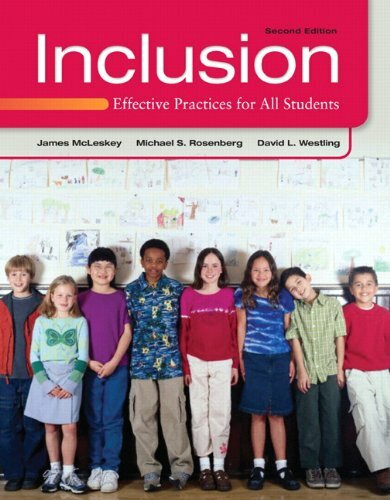 Balancing foundational information with a real world approach to inclusion, Inclusion: Effective Practices for All Students, 2e equips teachers to create effective inclusive classrooms. The most applied text in the market, this second edition sharpens its focus and its organization to more clearly outline best practices for inclusive classrooms. The book’s three part structure opens with the foundational materials you’ll need to truly understand inclusive classrooms, followed by brief categorical chapters to give you the information you need to meet the needs of all students. Finally, field tested and research based classroom strategies are laid out on perforated pages to make the transition from theory to practice seamless.